This brand new 2 day course will enable all therapists to tackle the problem Shoulder, from the amateur sportsman to the elite athlete. Dr Ian Horsley MSc MCSP CSCS, NW Regional Physiotherapy Lead - English Institute of Sport , EUSSER EdCom Member This brand new 2 day course will enable all therapists to tackle the problem Shoulder, from the amateur sportsman to the elite athlete. This new course has been created to combine systematic methods of assessment and functional rehabilitation of the shoulder, and is applicable to the elite sport and outpatient environments. Both tu tors have diverse backgrounds in the management of the athletic shoulder in high performance settings, and have combined their experiences with up to date research to present a cours e t hat will allow clinicians to apply new concepts to their existing knowl edge in this area. This course may be facilitated by one or both of the tutors. The course has a strong practical component , so please bring appropriate clothing. If you are already member please go to the LOGIN page to see this content. 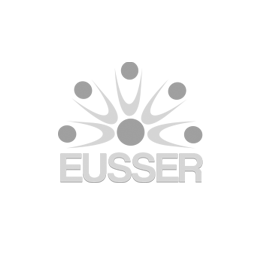 Not member to find out HERE the scientific advantages of EUSSER.